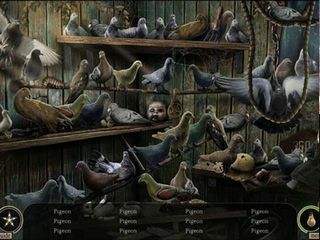 The makers of the Rite of Passage games has really stepped up the Hidden Object Puzzle Adventure genre to a whole new level in Maze: Subject 360 Collector's Edition. This is the first episode of the Maze series and will definitely not be the last! This game is a real ground-breaker as it brings intense psychological thrillers to the HOPA genre. Not advisable for real young’uns. It’s exciting to see what will come next from this oh-so-frightening new series! You take the role of Subject 360. You open a door and are welcomed by the creepiest little doll who informs you that you’ve just entered the Maze. If you prove yourself worthy, then you will be allowed into the Sanctuary… but only if you’re worthy. Watch out! It’s a Molotov cocktail! Oh no- a ninja throwing star! Gasp! Awe! The doll doesn’t give you much info from the get-go, so you’ve got to use your smarts to unlock the mysterious puzzle to figure out just what’s going on. Abandon your identity and become Subject 360 in this eerie new game. If you get the Collector’s Edition, then you’re in for a real treat. 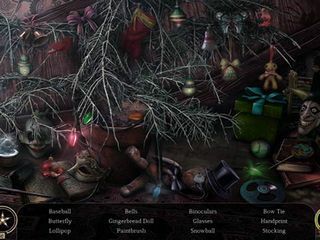 There are swirls and morphing objects hidden throughout that you can collect as you play. There’s a special jigsaw puzzle only in the collector’s edition that’s sure to keep your brain working. A bonus game allows you to really flip things upside down in a way that you’ve never dreamt of, and, of course, there’s the helpful Strategy Guide and downloadable media that you can use even after the game. Don’t forget the achievements! Get the Collector’s Edition today and see how the Maze series will change the industry! This is Maze: Subject 360 review. Download this game here.